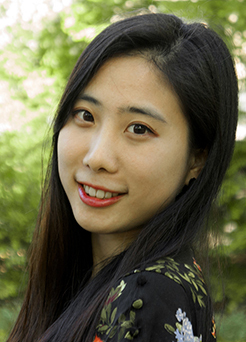 Hyun Yang is a doctoral student in the Donald P. Bellisario College of Communications. She earned her bachelor's degree with a double major in photography and cultural contents convergence at Chung-Ang University in Korea. Before beginning her graduate programs, she gained marketing experience at a video game company and a digital marketing agency in Korea. Hyun earned her master’s degree in media studies from the S.I. Newhouse School of Public Communications at Syracuse University. While she was in the master's program, she presented her research papers at conferences including the International Communication Association and the Broadcast Education Association. One of the papers has been published in Cyberpsychology, Behavior, and Social Networking. As a doctoral student at Penn State, Hyun studies human-computer interaction and computer-mediated communication. In 2018, her research paper won second place in the Jung-Sook Lee student paper competition of the Communication Technology Division of the Association for Education in Journalism and Mass Communication.